If you enjoy this album, please leave a tip to help us continue delivering quality inspirational Hip-Hop to you. 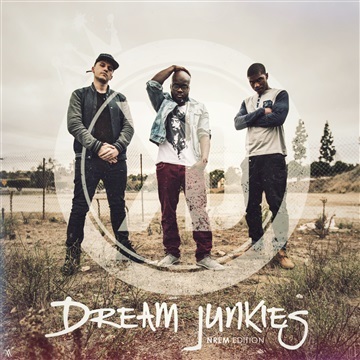 “Exceptional” is just one way that listeners have described Dream Junkies: NREM Edition, the first collaborative project from Kings Dream Entertainment MCs Ruslan, Beleaf, and John Givez. They began work on the project in December of 2013, combing through countless beat submissions. “It was important for us to find beats that were inspiring for us so that we could inspire others with our writing,” Beleaf said of the music selection and creation process. What they ended up with were 11 tracks (plus 3 bonus tracks on the deluxe edition). Each track has a unique message designed to fulfill the Dream Junkies mission of inspiring and encouraging others to dream big and become the people God designed them to be. The deluxe edition is available with the purchase of a t-shirt from KingsDreamENT.com, or with the purchase of a ticket to the upcoming Dream Junkies tour dates in Dallas or San Diego. If this is just stage one from the Dream Junkies, hip-hop fans have a lot to look forward to as Kings Dream inspires people toward realizing their dreams.